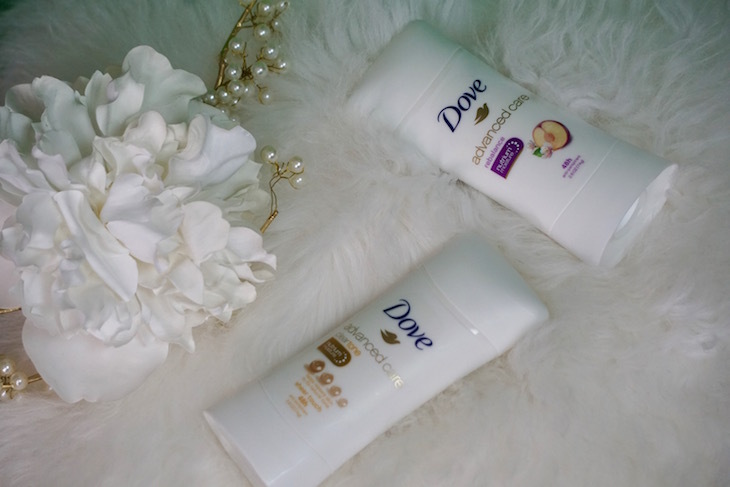 Today I am very excited to have partnered with Dove and DiMe Media to share with you my underarm care Dove #EssentialUpgrade for spring & summer. Underarm care might seem so basic in our beauty routines that sometimes talking about it might get for granted. A recent study estimated that approximately 36% of what we remove while shaving is skin! That statement is considerably scary when we think about how many times a week we shave. I personally shave my underarms about every other day. With that being said, my underarms definitely needed more care than just a basic odor protection deodorant, which is what I was using until I made the Dove #EssentialUpgrade. After a few days of trying the Dove Advanced Care Antiperspirant, I was able to see and feel a great change in texture and softness. This product offers 48-hours of odor and wetness protection, plus the added skin care benefits of its NutriumMoisture formula that leaves the underarms feeling soft and smooth. The NutriumMoisture technology has humectants that draw moisture from the air and lock into the skin for good moisture. I also loved that the Clear Tone helps restore skin to it's natural tone, just in time for Spring/Summer’s colorful sleeveless fashions. I never really paid much attention to my underarm pigmentation before, so I will definitely keep you posted about the progress later on.